Everyone who has any knowledge of eighteenth-century political thought and political economy will have come across the work of Donald Winch, because of his classic books Adam Smith’s Politics: An Essay in Historiographic Revision (1978) and Riches and Poverty: An Intellectual History of Political Economy in Britain, 1750-1834 (1996), covering authors from Mandeville and Hume to Rousseau and Smith and to Burke and Paine. Nineteenth-century scholars will equally be aware of Winch’s work, from early studies of Classical Political Economy and Colonies (1965), and later work on Malthus (1987), ranging from Bentham and Ricardo to Mill, Ruskin, Jevons and Marshal, epitomised by his brilliant last work Wealth and Life; Essays on the Intellectual History of Political Economy in Britain, 1848-1914 (2009). Students of twentieth-century economics may also have come across Winch through his writings about Keynes and about policy making, in books such as Economics and Policy: A Historical Study (1969) and (with Susan K. Howson) The Economic Advisory Council, 1930-1939: A Study in Economic Advice during Depression and Recovery (1976). Winch’s work was remarkably wide-ranging and formidably learned. Winch was born in 1935, read economics at the LSE and completed his PhD at Princeton in 1960, being supervised by the inspirational Jacob Viner. For three years, he was lecturer in economics at Edinburgh, between 1960 and 1963, before moving to the recently-founded University of Sussex, where he served for over fifty years, becoming Professor of the History of Economics (from 1969) and ultimately Emeritus Professor of 20Intellectual History (from 2006). At Sussex Winch was active in university administration, becoming dean of the School of Social Sciences (1968-1974) and Pro-Vice-Chancellor (1986-1989). Beyond the institution, he was publications secretary of the Royal Economic Society, from 1971 to 2016, and Vice-President of the British Academy (1993-1994), having been elected fellow in 1986. A combination of scholarship and service characterised Winch’s entire life, underlining his willingness to be a team-player, and to contribute to the administration of higher education and that of the societies of which he was a member. All of this made Winch an invaluable member of faculty; he was dedicated, honest and wise. Winch the man was still more memorable. My personal experience underlines this, and if the reader will forgive me, I have to explain my own connection with the person everyone called Donald. When I was completing a PhD on Jean-Baptiste Say’s political economy, under the supervision of the Cambridge historian Istvan Hont, a lectureship was advertised at the University of Sussex. It was 1993. Sussex wanted someone to undertake Winch’s teaching, as he had a two-year research fellowship at All Soul’s in Oxford. Normal institutions would have advertised a two-year post at most, but Winch did not believe that young academics should suffer with a potentially endless series of short-term appointments, and managed to get the lectureship made permanent at the outset. I replaced Winch’s teaching for the next two years, which mainly entailed seminars and lectures on a third-year undergraduate course called Concepts, Methods and Values in the Social Sciences: Historical, an intellectual history course from Montesquieu to Weber. Winch was on leave and completing the book that became Riches and Poverty. Despite this, he spent an inordinate amount of time with his junior and very ignorant colleague, explaining everything from reading lists and marking to committee structures and the culture of the place. By this time, Winch had moved from the Economics Subject Group to History, and saw himself as an intellectual historian, alongside his great colleague John W. Burrow. The intellectual historians, now swollen with my own arrival and that of Brian Young, who was replacing Burrow, were largely independent of the historians. This mattered greatly to Winch, who saw intellectual history as an interdisciplinary endeavour, and existing separately from the traditional tribes of British 21academe. As well as ensuring that I knew what I was doing in teaching and administration, Winch was still more concerned that I complete my own PhD, and started to publish. The teaching load was so high that finishing the PhD took a further two years, during which time Winch acted as an ideal supervisor, reading draft after draft and providing extensive comments. When I returned to Cambridge at some point for a visit, I discovered that Winch had been writing to the faculty of History to ask why they had not been spending time pushing me to finish, in the same fashion that he was doing from the Sussex end? This underlined Winch’s care and collegial concern. It never stopped. When the thesis finally became a book, I remember giving him over 500 manuscript pages on a Friday night, and receiving them back on the following Monday morning, with each and every page annotated, and a full report on the whole. I was fully aware by this time that I was getting support far beyond the norm for junior faculty, and receiving it from a great man. Winch continued to comment on every single of writing I undertook between 1993 and the months before his death, always quickly, and always providing fulsome and especially useful advice. I was not the only recipient of Winch’s generosity. 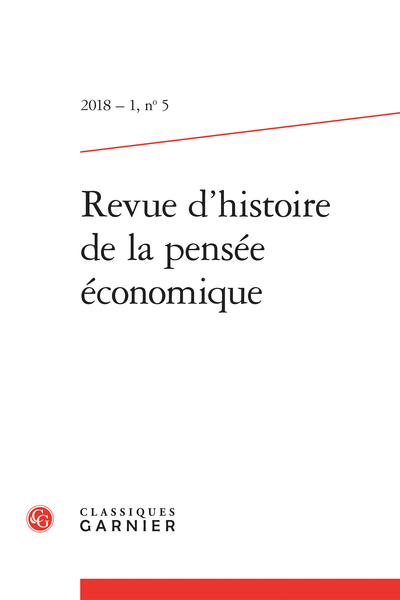 Scholars working across the history of economics, political thought and economic history from the eighteenth to the twentieth centuries were equally rewarded. Winch had a gift for friendship and for academic communication. When I finally left Sussex, after twenty years as a member of faculty in intellectual history alongside Winch, he was the person that I missed more than any other. Seeing intellectual history at Sussex crumble was difficult for Winch, because he had spent so much of his career sustaining the field in his home institution. The same could be said for the decline of the history of economics, in which field he had spent the first half of his career, and in which he remained prominent. Yet there was no anger or remorse. Winch, as I’ve written above, had wisdom in spades. Nothing shocked him, he was a rock of a human being, and took both success and failure phlegmatically. One of his great insights into the work of Adam Smith was to describe a powerful opposition both to enthusiasts and projectors, those who believed the world could easily be improved, or were convinced that if only a particular reform was embraced or law enacted, the social world could be perfected. Smith, as described by Winch, was a spokesman for the wisdom of Solon, accepting existence 22in a world of the second-best, and that in consequence indirect or piece-meal reform was likely to be the best option for flawed humanity. Winch’s description of Smith could be applied to himself. He had a rare gift for seeing the practical consequences of human action, and for steering academic ships in particular. Everything he did was done by the book. Like Smith he despised corruption, placemen and sinister interests. The cliché for once is correct; we certainly won’t see his like again. Fortunately, we have his books and writings.